Into our fourth decade of providing expert care to valued patients just like you, we at the office of William L. Toler DMD have continued to exhibit the qualities of warmth and personalized attention that were cultivated when we were just a small practice. 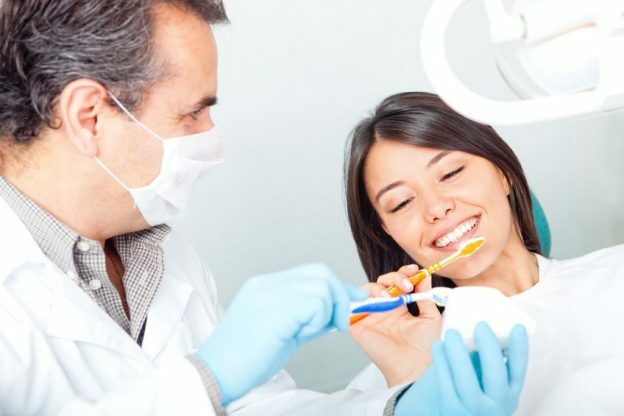 With everything from the routine to the urgent, including oral surgery, our Fort Valley dentist is pleased to provide excellent service for your entire family. Dental exams for adults and children should be every six months. Along with teeth cleanings, these visits put you in the beneficial position to keep cavities to a minimum, prevent the vast majority of potential toothaches and infections, and keep your gums strong, vibrant, and pink as they were intended. If you do have a cavity, our Fort Valley dentist is pleased to put in cosmetic fillings that blend in with the color of your teeth. Restorations, including those for whole teeth are available. This includes crowns and bridges. Or for the ultimate advanced option in replacing lost teeth, you can get a dental implant. Our Fort Valley dentist makes your experiences here more pleasant and effective with technology such as laser therapy and digital x-rays, which expose you and your child to far less radiation than traditional ones do. Cosmetic treatments, such as teeth whitening, are performed in order to meet the needs and preferences of our patients when it comes to having a great-looking smile. Among the other services available here are sealants, frenectomies, extractions, gum care, sports appliances, and orthodontic retainers. Chances are that if it relates to the health and well-being of yours or your child’s teeth and gums, it’s provided by our practice. Contact our office right now so that we can set up a time for you to come in for yourself or with your child for an examination or treatment.